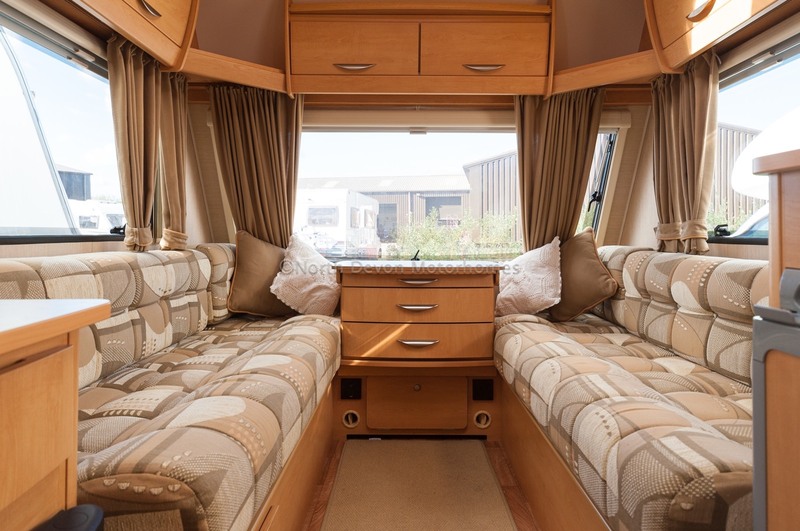 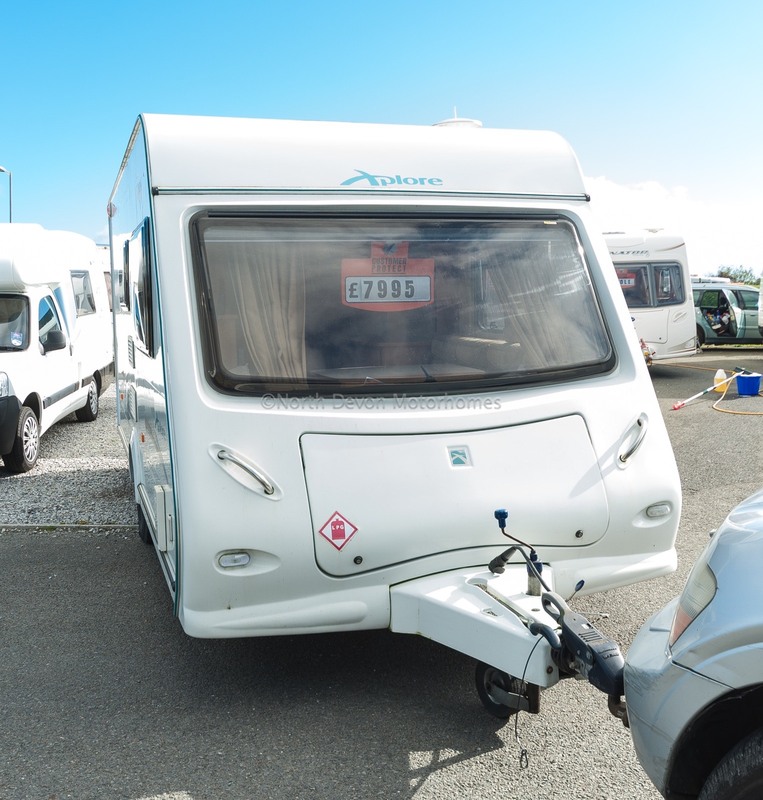 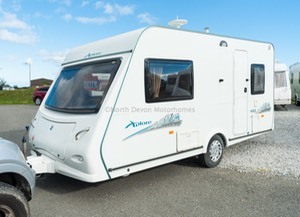 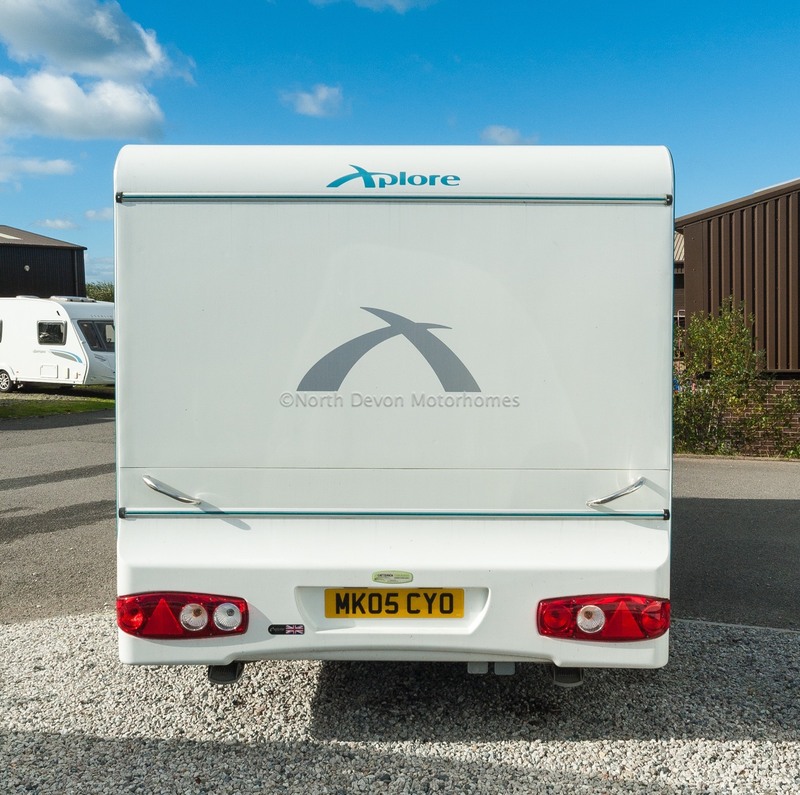 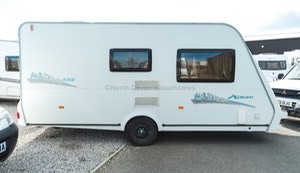 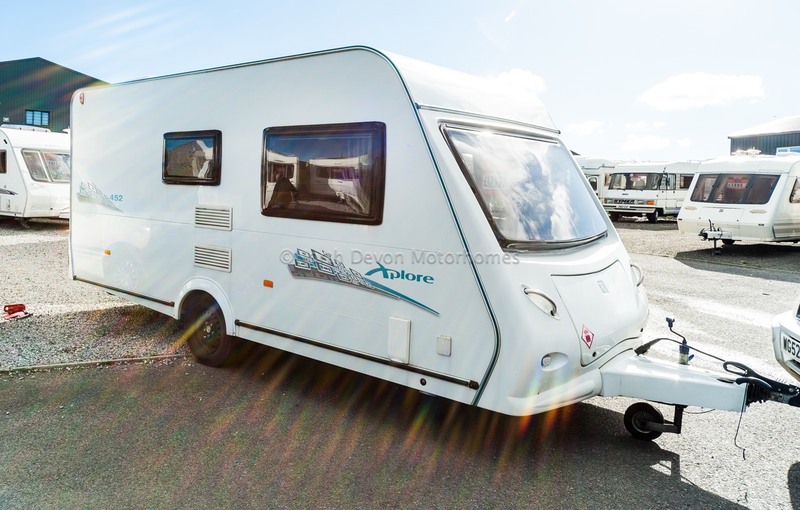 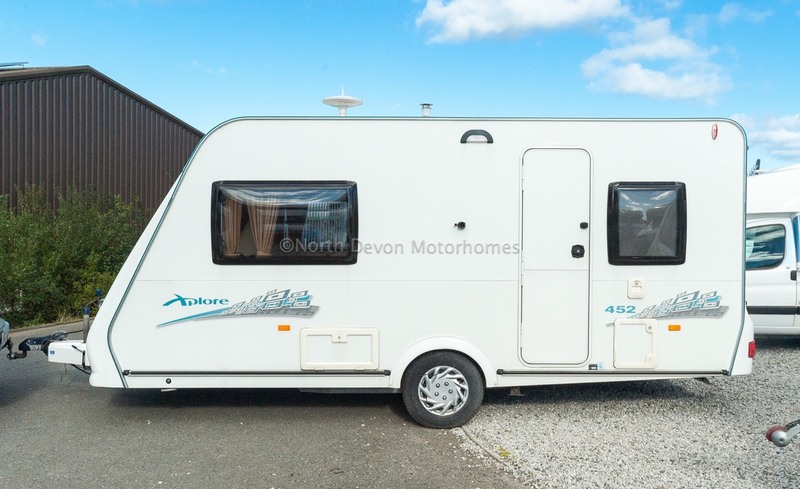 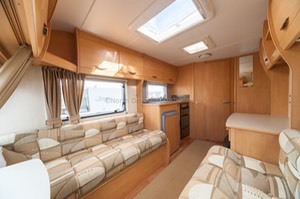 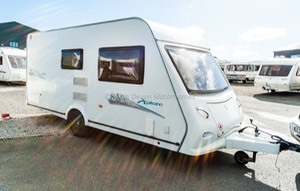 2008 Elddis Xplore 452, Two Berth Touring Caravan, Very Bright and Spacious, Extremely Clean and Tidy Interior, Well Worth a Look. Front Lounge, Center Kitchen, End Washroom. 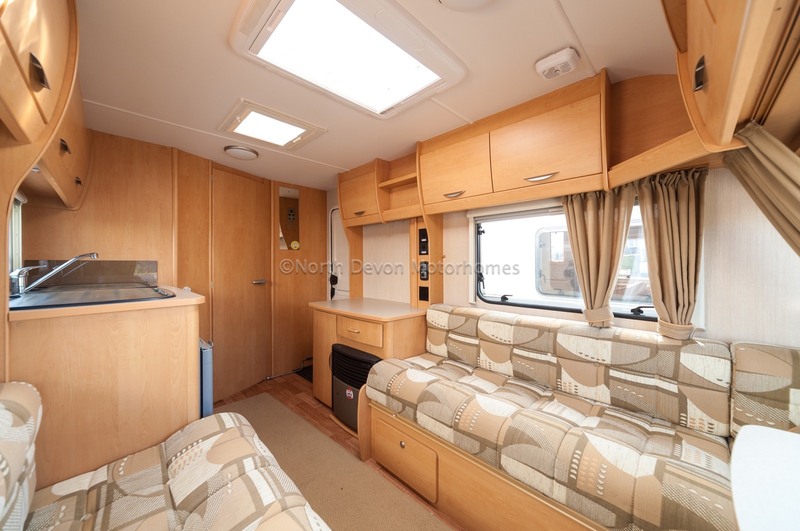 One big single window at the front of the van, two opposing bench seats, centre cabinet/table unit, heki roof light, tv station area. 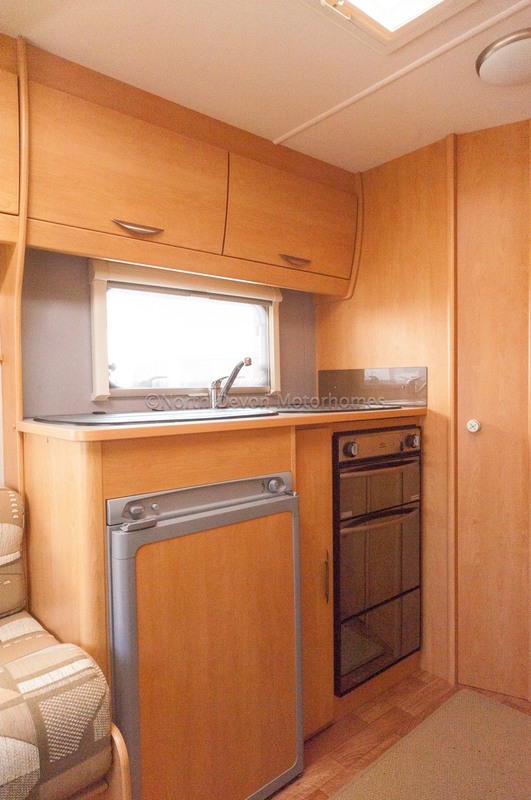 Sink and drainer, 3 burner gas hob, oven and grill, 3 way fridge, storage cabinets, skylight. 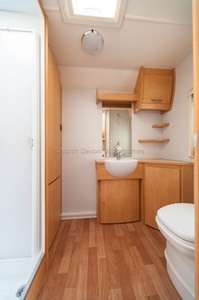 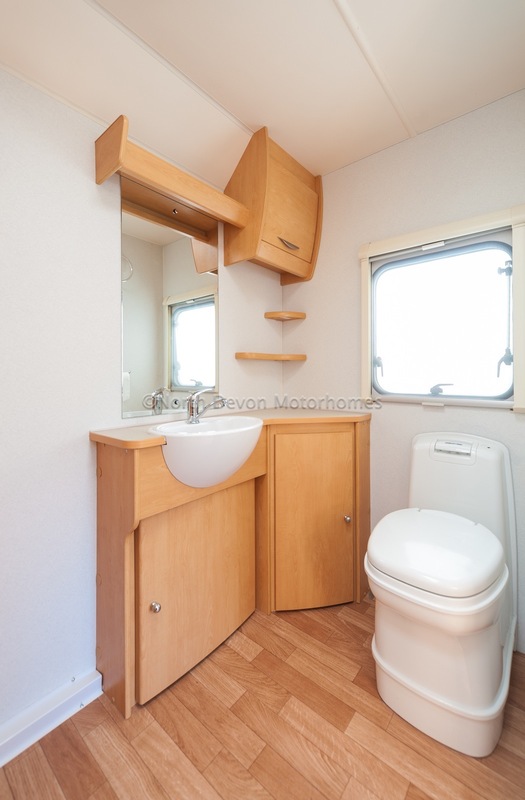 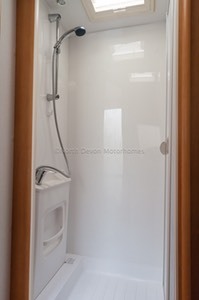 Cassette swivel toilet, sink, mirror, cupboards, separate shower unit, wardrobe, skylight. 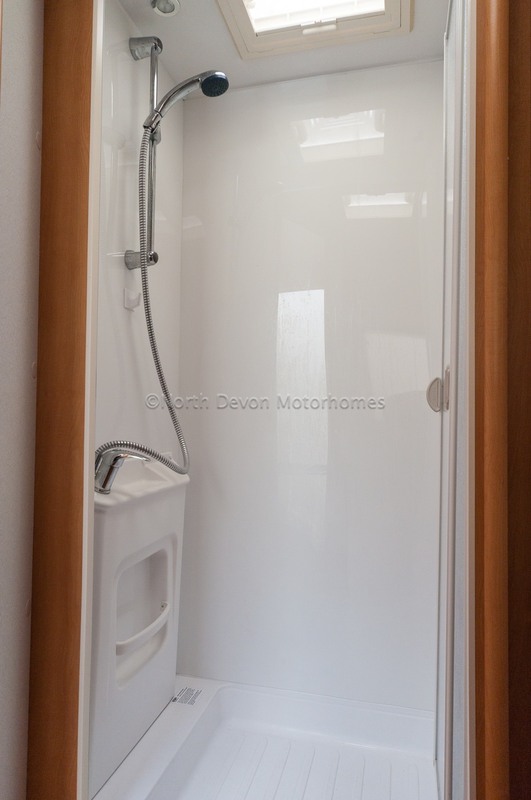 Truma Ultraheat hot air blown heating system. Water bowsers, pump, gas bottle, hose and regulator, wheel clamp, hitch lock, 240 hook up lead, TV aerial and boost box, awning.